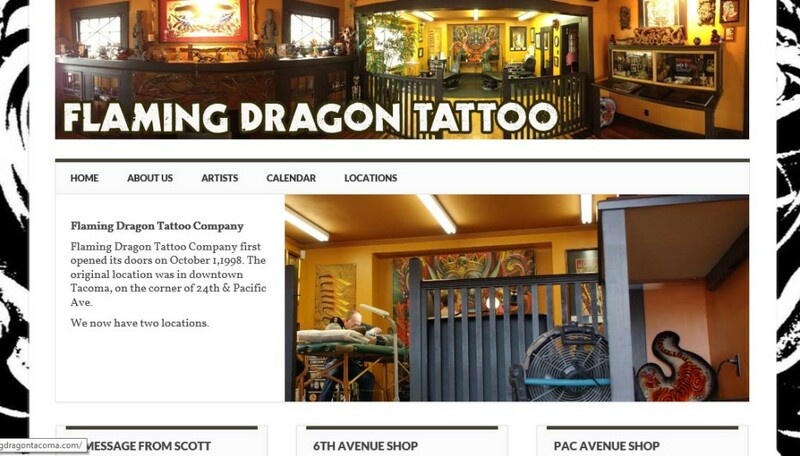 Installation and configuration of the Flaming Dragon Tattoo website built upon a WordPress template. The site was configured for multiple users/editors so that each artist could control their own content and portfolios. This also included a group training session for standard content update procedures. Lastly, we were tasked with updating a particularly pesky issue…. One of their locations had moved and Google maps was incorrectly showing the old address. It sounds simple enough but the task of moving a business listing turned out much more complex than it should have been. Through a little bit of detective work we were able to remedy the situation.